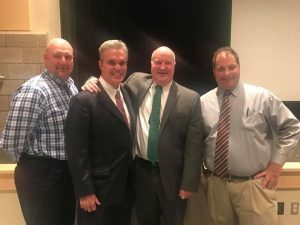 District Attorney Early and James Butcher with Wachusett Regional High School Principal William Beando and football Coach Mike Dubzinski. 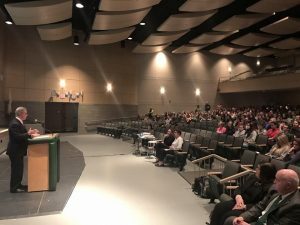 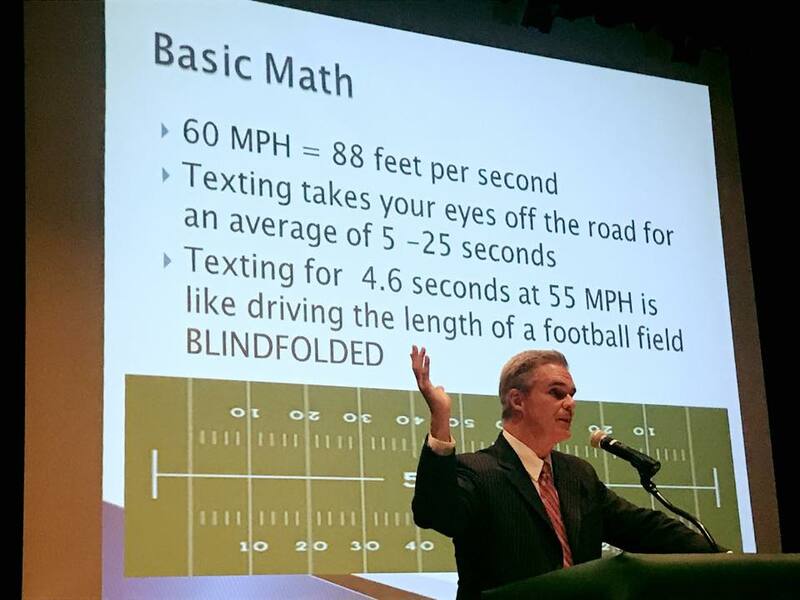 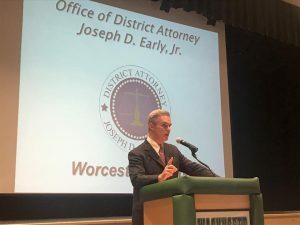 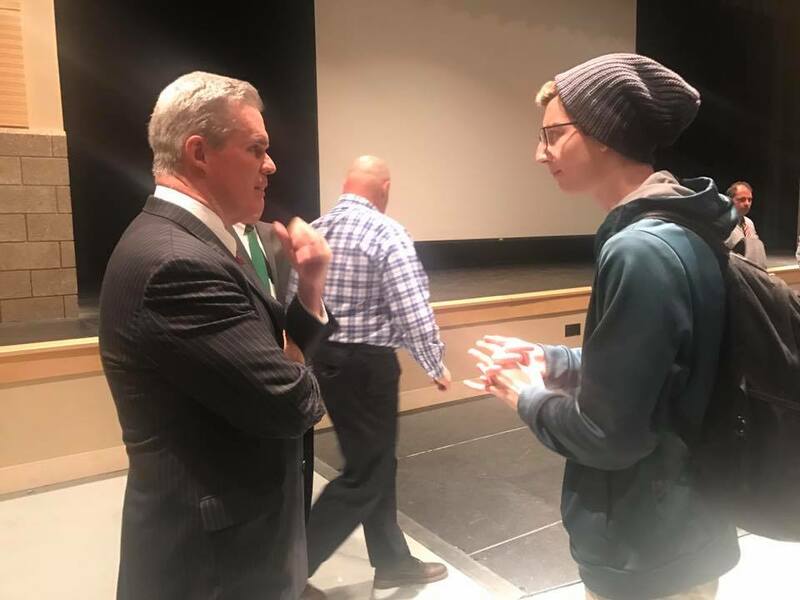 District Attorney Early speaks about distracted driving at Wachusett Regional High School. 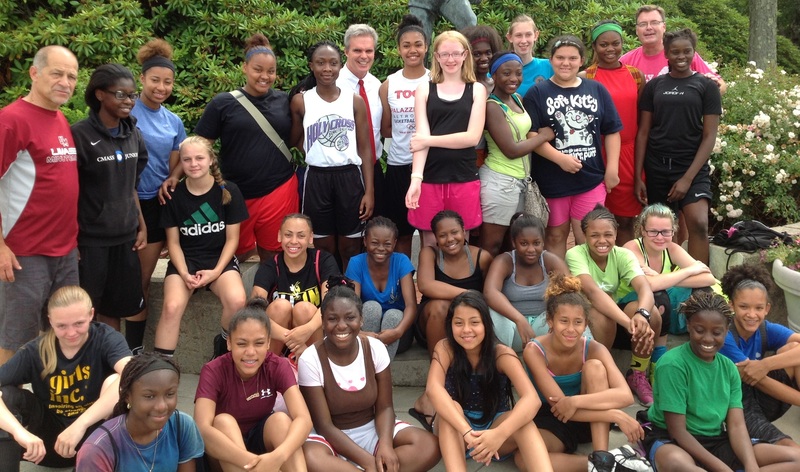 District Attorney Early spoke with more than 500 juniors.